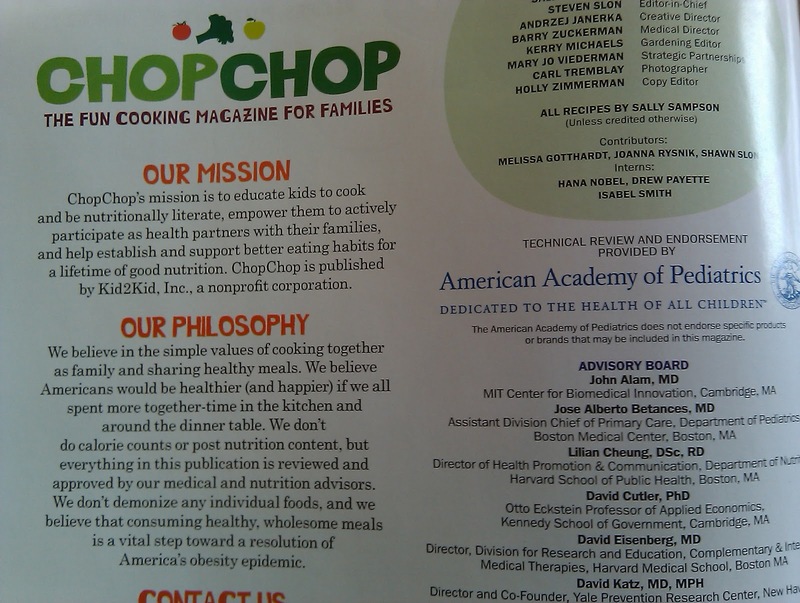 ChopChop magazine reached out to me and asked me if I had heard about their cooking magazine for kids. I hadn’t, but I was anxious to learn more. They sent me an issue and copies to hand out to my students. I liked reading magazines as a kid. Highlights was my favorite, but my parents couldn’t afford a subscription. I only got to read it at the doctor’s office. ChopChop is fun like Highlights, but practical because it teaches kids about cooking in an approachable, creative way. I think ChopChop for kids that like to do things in the kitchen — it will inspire new kitchen endeavors. 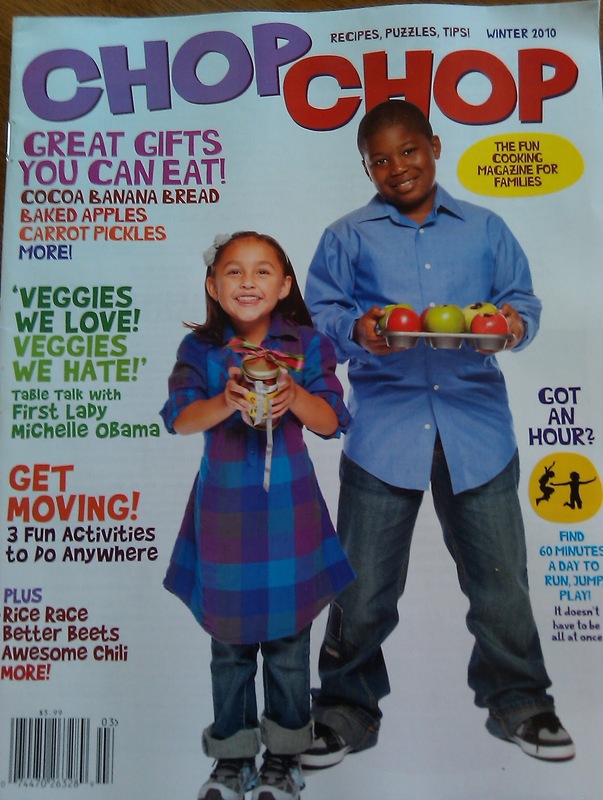 Also, I think the magazine will engage with kids who avoid the kitchen and only like certain foods. 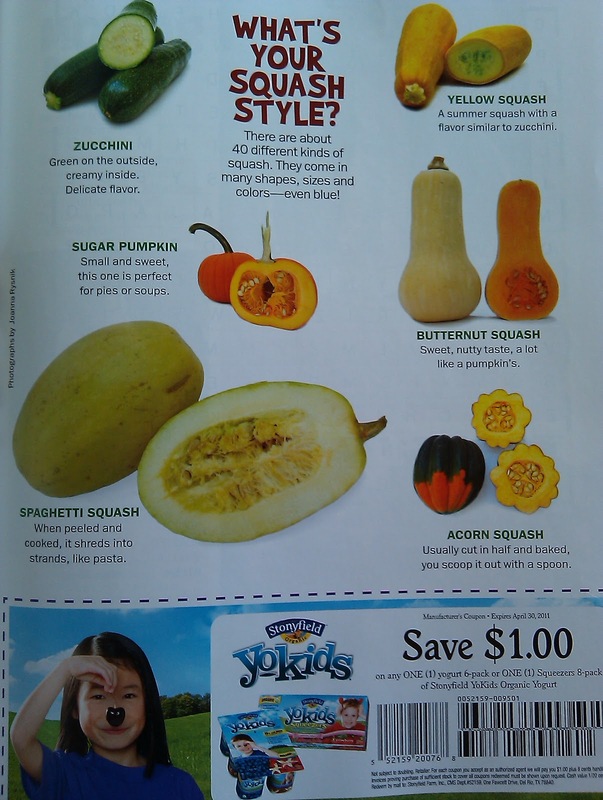 I hear that kids who are “picky” will try foods that they prepare themselves — what if each week a kid can choose one recipe from the magazine to try with adult help? 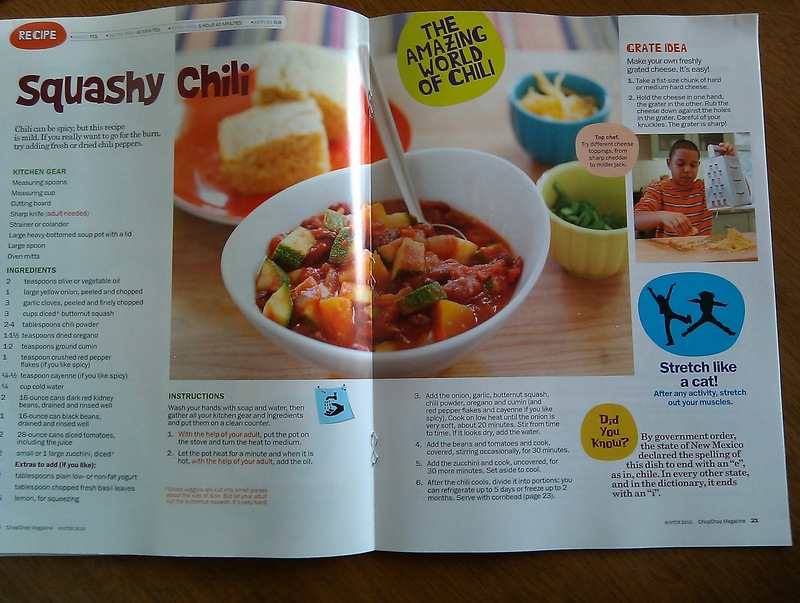 Chili is a perfect recipe for any budding chef. When I was in college I had a great recipe for veggie chili that I cut out of the paper. I have looked for it since and can’t find it. Maybe the one featured in the magazine can replace it. Coupons are helpful and it’s a nice way to offset the cost of the magazine ($14.95 for four times per year), which I don’t think is bad at all. My students opened the magazine and paged through it. Of the many things they enjoyed, they loved the dinosaur! There are plenty of recipes to choose from in the magazine, but there was other fun things too like a maze, cool photos and graphics. I’m giving one away! To enter leave a comment below describing a dish you have cooked with your child or one that you would like to try. If you want to keep up with ChopChop magazine, check the magazine out on Facebook and on Twitter. My son and I made cornbread together last night. And chili. I love cooking with my kids! this magazine looks wonderful!!! Well I'm a teen, but I remember cooking a lot with my mom when I was little. She used to let me make "interesting cakes" all by myself with old flour, sugar, water, and anything else that was going stale. They always looked very…interesting…when they came out of the oven! You guys rock!!! Thanks for sharing!!! Astrid — I made chili and cornbread yesterday too! Thanks for the introduction to the magazine. I'm willing to try anything to get my children more interested in eating well. What an awesome reviewof the Magazine! I had never heard of it nefore! My 8 yr old is a budding chef! She is constantly going through my cookbooks and picking stuff out to try! Her last "I have to try that" moment was watching "Lidia's Italy" on PBS a couple weeks ago and she made a pasta dish with clams in the shell…She had to try it! We made it and she LOVED it! Her favorite thing to make in the kitchen is probably anything with shredded cheese! She loves to shred the cheese! I'm not a mom, but I have two nephews (one from my step-sister and one from my brother) who love to cook with me. Christmas before last, (I was deployed this Christmas) my then 4-year old nephew and I made breakfast for the whole family: bacon and eggs and waffles. Nick was so proud of his eggs – it was the first time anyone had let him crack eggs all by himself. While it was a little extra work for me trying to get the shells out of the bowl, it was totally worth it to see the pride on his face when he served his mom breakfast. Now, cooking is on the list of events when I visit. My daugher loves to cook anything in the kitchen with me. Our latest adventure was Pecan Chicken breasts..yummy. 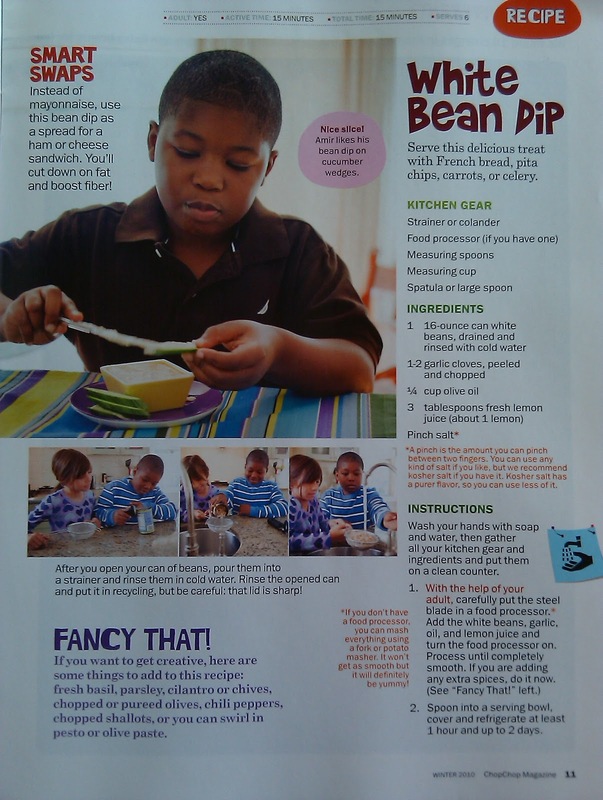 I'm teaching my kids to cook along side me- I think they'd love a cooking magazine. My kids like to help out all the time in the kitchen. Anything from cracking the eggs to washing the dishes and they are three and five. Since I get so many cooking magazines, I think they'd love to get their own! Thanks for making offers like this- is much fun. And even if we don't win it, I love that I now have that knowledge. I hadn't heard of it before either. Both of my boys, 4 yrs and 21 mos, love to help in the kitchen and at the grocery store. Blueberry muffins are a big hit. I would love to be entered. My daughter actually helps a lot in the kitchen, but fruit salad is probably her favorite thing to make. This magazine looks great! I've ordered a subscription for my cousin's kids and when my son (now 18 months) is older I look forward to sharing it with him. We're pretty foodie in our house – my husband and I cook almost all our food from scratch – so I hope learning to cook and enjoying healthy food is something our son will enjoy as he grows older. Oooh! I would love a subscription. I'm dying to try cooking breads and biscuits and things like that with kiddos. My mom always made bread, but never included me like she did with other food prep and it always looked so fun! I think Friday night challah would be a good place to start. Or homemade pizza dough! She has awesome, healthy recipes! We love kids' magazines around here, but haven't seen this around. It looks great! My girls are always asking to make banana bread. We make some every few weeks, and they are getting good at it! We would love that magazine! My 3 yo daughter loves to help me cook and she was devour (ha!) this magazine. We cook a simple black bean and sweet potato soup all the day. My niece and I love to bake together! She's also turning into a respectable sous chef, helping more and more with meal prep. I think she would love this magazine! My son just turned two so he is just helping me with simple recipes like cookies, etc. He loves to be in the kitchen with me and I can't wait until we can cook together. My son is three and I think his favorite thing to make is peanut butter and jelly wraps! He asked if we could make graham crackers one day so I looked up a recipe and we did! Who knows what he'll ask to make next… This magazine looks great! I would LOVE to have a subscription to this magazine!! I teach 3rd grade and began following your blog when I too became disgruntled with our school lunch menus! It amazes me that they can serve processed chicken in so many ways and the kids will eat it day after day! (rings, patties, nuggets, fingers, fries, etc!!!) My own children complain if they have to eat quick meals or take out and can't wait for me to cook! They are my sous chefs and are a huge help!! I LOVE it when my daughter calls from college looking for a recipe that is easy for her to make for her friends. Recently, my 2 teen aged sons and I watched a show on Food Network, "The Best Thing I Ever Ate". They were talking about Lobster Shooters. So the boys and I spent all afternoon before the SuperBowl making Lobster wontons and coconut curry sauce. It was ALOT of work but our rewards were SO delicious!!! We made about 150 wonton dumplings to take to a party. They were a HUGE success. I am so proud that my boys know their way around the kitchen and are always ready to help and learn a new recipe. I run an after school cooking club with local elementary school students once a week. Kids are in K-3 and they're always enthusiastic to eat what they've made. We've done yogurt parfaits, ants on a log, english muffin pizzas (with fresh-made sauce) plus things you wouldn't believe like brownies with spinach and blueberries and mac and cheese with mashed cauliflower and cottage cheese. A subscription to Chop Chop would surely help us with our growing recipe collection. I cook with my kids several times a week. They help me with all kinds of things. The other night my 9yo and 14yo boys were helping me make 2 pans of enchiladas. They were awesome- the enchiladas, sure, but the boys too! I would LOVE a subscription to this magazine! My 2 year old LOVES to help out in the kitchen. He always likes stirring when i make pumpkin chocolate chip muffins! My son thinks that when I say he needs to help with doing work around the house he thinks that means cooking! Not quite what I myself and talking about, but he loves it. He helps me with my whole wheat bread all the time. Loves to make it and eat it! Win, win. My girls love making Whole Wheat Graham crackers with me! They're pretty labor intensive so we don't make them often but they're great during the summer! This isn't for an entry. I've bought chop chop a few times and I don't even have a child in the age group for the magazine…but I do teach preschool. Like the magazine and think it is very appealing. The only thing that bothers me about the content is they still push really low fat and high carb. for kids and I don't think it is necessary. Of course that is my opinion. I think that the USDA food pyramid is messed up. My kids love to cook. So much so that when I'm in a hurry to cook dinner, I have to chase them out of the kitchen so I don't trip over them. My oldest loves making pancakes. My youngest loves making cookies. 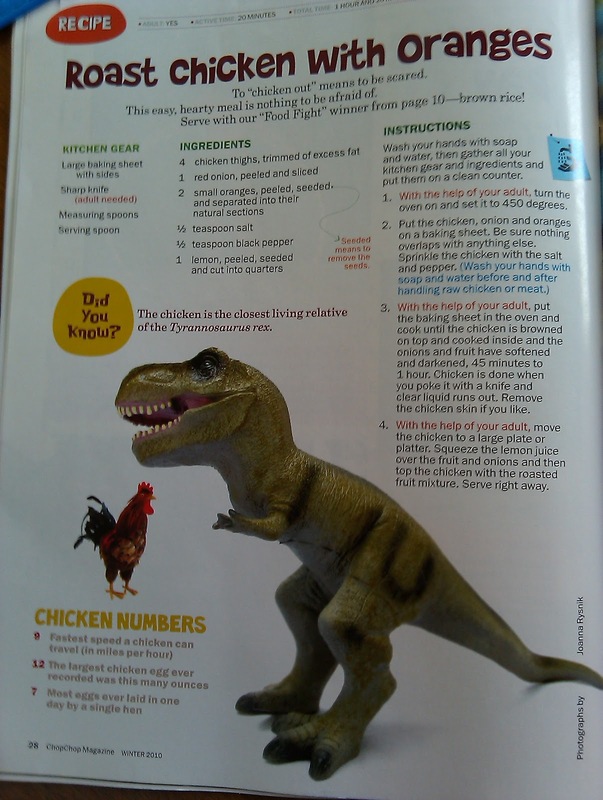 I'm sure my kids would flip over a magazine all about cooking for kids.